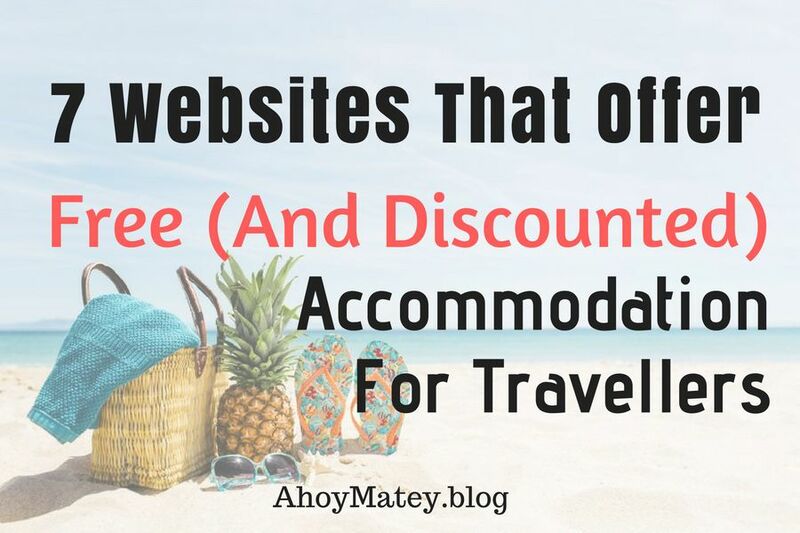 From completely free stay options to home sharing and discounted hotel accommodations, this list of websites will help you save on your accommodation when you travel the globe. Accommodation is one of the most expensive purchases for travellers. And despite the fact that I love Booking.com’s ease of use and easy cancellation options, their hotels’ stays can cost you a pretty penny. Just like you, I’m always looking for ways I can save on my stay, so I have more money to spend on sightseeing and activities in the places I’m visiting. 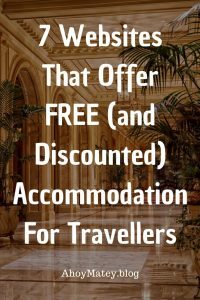 In this article, I’ve listed over 7 websites that will help you save on your accommodation – and even stay free – when you travel the globe. Here they are, starting from completely free stay options to home sharing and discounted hotel accommodations. Become part of the world’s leading Home Exchange Community and stay absolutely free in over 65,000+ homes around the world, says the website. But to make this work, you must be willing to let strangers live in your home in exchange for letting you live in theirs. List your house or your apartment so the HomeExchange community can see it. Use high-quality photos to provoke more interest in your listing. Add photos of local attractions or a profile photo of you and your family to make it more personal. Browse over 65,000+ listings for homes and locations you love, and use the website’s simple messaging system to get in touch with the Members whose home you would like to stay in. Check out inquiries sent to you from Members who’ve expressed interest in staying in your home, and when you’re ready, simply arrange your Exchange. You’ll be required to sign a digital Exchange Agreement at the bottom of the message where you’re discussing the exchange. Home Exchanges are not for the paranoid. If you have valuable items in your home, it’s best to lock them in a room and keep them off limits to your guests so they can use the rest of your home without you worrying that your valuables will get damaged. Also, leave detailed instructions on how things work in your home to prevent any mishaps, and write down emergency numbers to contact, if things like plumbing and electricity break down. If you love animals and enjoy spending your vacation taking care of someone else’s pets, house sitting may be the job for you. Pets are far happier when staying at home than in a kennel and when they get someone like you to stay home and care for them, it’s a win-win situation. You get to stay free in a new city or country, and the pen owners get to travel without having to pay for expensive pet boarding services. Of course, you must make sure their pets are well cared for or you won’t receive a good rating. Subscribe to receive house-sit opportunities matching your desired locations and preferences. Get found in search results and get chosen to housesit. House Carers will help you with tips and guides on how to land the house-sit and give yourself the best exposure on their website. House Carers will help you with tips and guides on how to land the house-sit and give yourself the best exposure on their website. If you find the idea of house sitting interesting, consider buying Ryan’s book, How to Land the Best House Sits Easily. Register with House Carers here. If you’re not comfortable exchanging your home with a stranger, you can always opt for a homestay. These are definitely cheaper than hotel accommodation and you can stay with a local host family in over 160 countries. If you love authenticity in travel, homestays can help you discover rustic, authentic and unspoiled gems. You get to do what the locals do, eat where they eat and experience the realness of the place you’re visiting. Click here to book a homestay. As a Chapter Organiser of Wanderful Pune, I just love this identity-verified home sharing community exclusively for women travellers looking for a safe place to rest their head. Members can rent private rooms to one another for a fee, or just take each other out for a cup of coffee or provide a friendly face at the airport. Right now Wanderful is just in 20+ cities around the world, but are rapidly adding new members and chapters. Each member (both the hostess and the guest) completes a two-step identity verification process and may opt for a background check for enhanced safety. Wanderful is committed to trust and security and goes beyond home sharing to create a collaborative and inclusive community of women of all ages and backgrounds who help one another travel the world. Wanderful Chapters connect locals and travellers together over brunches, workshops, day trips, and events like the Women in Travel Summit (WITS) and Wanderfest, to build positive connections and lasting friendships. Signup on Wanderful here and join the women-only Facebook groups for India and Pune below. 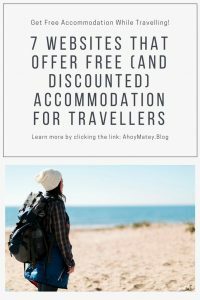 If you don’t mind sharing a dorm and toilet with other travellers, then you can save hundreds of dollars on accommodation living in very decent hostels. Some hostels even offer private rooms with your own bathroom. Besides having other travellers to turn to for advice on the place you’re visiting, you also get to benefit from the camaraderie and fun that is very much part of hostel life. Airbnb really needs no introduction. As one of the pioneers of the sharing economy, it allowed homeowners to rent out their homes by the night, to travellers weary of paying for expensive hotel stays. Not only do these options cost less for travellers and digital nomads who might want to spend an entire month in a certain location, but the website allows us to find and stay in homes that offer unique and exclusive experiences, ranging from a Seashell House in Casa Caracol to a Secluded Intown Treehouse in Atlanta. If you’ve decided that you prefer staying in a hotel room, but want to save on the cost of your bookings, you could join GOjoinGO. This is a membership travel club that offers its members access to unpublished hotel rates up to 70% lower than any other online travel website or hotel website. Their online search and booking process is identical to all the other online travel websites and you have access to over 800,000 participating hotels and resorts worldwide. Members can also book discounted flights, cars, entertainment, and vacation rentals. The annual GOjoinGO membership fee is just $99.00/year and most members make back their membership fee within their first hotel booking. Please note: We have not included Couchsurfing.com in these options because we do not feel it is a safe option for women travellers, especially in light of the incident here and the many controversies around its functioning. Trusted House Sitters and #2 up top work wonders for us Priya. Smashing list! We are house sitting our way through New Zealand for 3 months. Save a current 2 week Air BnB stretch we are doing sits. Easy, saving thousands of dollars. We also use homeowner’s cars during sits, saving rental fees. Gotta love house sitting! We are HUGE advocates of AirBnB whilst travelling. As a couple, booking an apartment through AirBnB is often the same price or cheaper than 2 of us booking a hostel! Will definitely be looking into some of these other options now though, love the sound of house-sitting. Great list for a variety of travelers. Airbnb is always my first preference now, except one not-so-good experience, it has been amazing. Sometimes I find nice options at hostelworld.com too. Thanks for the tips, Binny. AirBnB rocks. I have had some of my best travel experiences booking though them. This summer, it’s time again for some of that. Italy this time! That’s awesome, Per. They do give access to some spectacular locations. 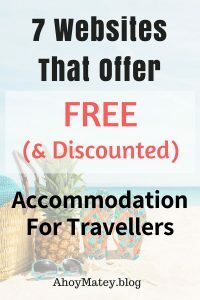 wow..very helpful info..i use only air binb and booking of the above….looks like i need to try more websites..homestays i never tried but would really give it a shot on my next travel..thanks for sharing. Wow this is a very interesting list of places where I can stay either at a cheaper rate or for free. I have stayed multiple times in hostels from booking.com and also have stayed in airbnb accommodations. But never knew the other websites you mentioned. Will try them soon. Glad you found something new in it, Shreya.